Home, Door and Window Products has over 150,000 satisfied customers because we know how to treat our customers right! We provide them with top-notch service and high-quality steel doors with the latest technology available. Home and Door is a dependable company with over 30 years of experience in the steel door industry. Therma-Tru steel doors are the most durable doors and will add value and elegance to your home or business. We have a variety of steel entry doors in stock. 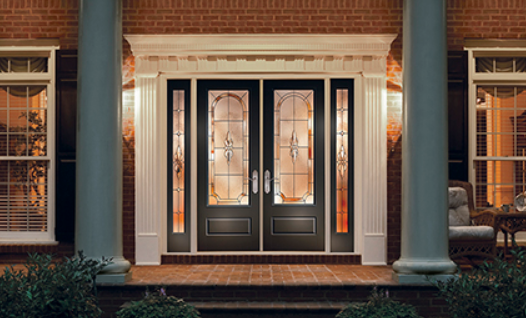 Our beautiful steel front doors will add enhance your Canton residence. Canton is located in the heart of southeastern Michigan between Detroit and Ann Arbor. Canton is just minutes from the Metro Airport. Canton has a population of over 92,000, and many of those resident’s shop at Home and Door. We have an impressive reputation and go above our customer’s needs. Home and Door only sells top-quality steel front doors. We have a beautiful showroom showcasing all our fantastic steel exterior doors and steel entry doors and an outstanding sales team available to help with any questions. Home and Door offers originality and artistry on our custom steel doors. Purchasing one of our steel entry doors will add curb appeal to your home and enhance your business appearance. You can find trendy steel entry doors that match your unique style at Home and Door. Come in today and speak to one of our professional team of skilled experts who are experienced in steel entry doors and will help guide you when picking out your new steel front door. Contact our sales team at Home, Door and Window Products today at (248) 399-9900!